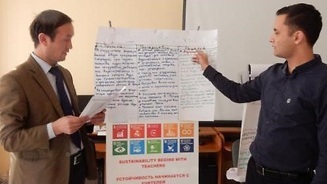 In Uzbekistan, the National University of Uzbekistan held four training seminars for teachers and students from various departments under in the framework of the third stage of the UNESCO Project "Sustainability Begins with Teachers in Central Asia”. Trainings were devoted to develop new skills to mainstream Education for Sustainable Development (ESD) and Global Citizenship. The higher education textbook "Fundamentals of Sustainable Development and Nature Management" in the Russian and Uzbek languages aroused great interest among participants"
About 250 students and 80 educators and teachers of higher education institutions received new skills in the workshops at the National University of Uzbekistan from November 2017 to February 2018. The most active were teachers of departments of chemistry and journalism. 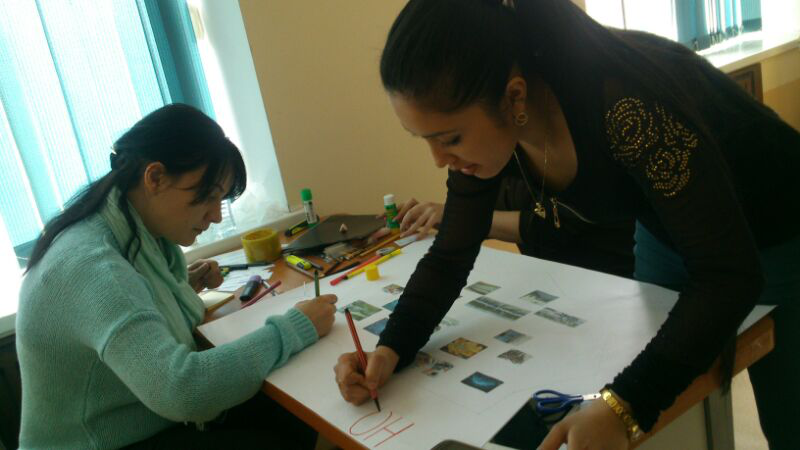 These activities and project results from four Central Asia countries will be presented during the sub-regional workshop on mainstreaming education for sustainable development and evaluation of the project “Sustainability begins with teachers in Central Asia”, on 11-13 April 2018 in Tashkent, Uzbekistan. Project is implemented by UNESCO Office in Tashkent, in cooperation with the UNESCO Almaty Cluster Office and UNESCO Regional Office in Bangkok with the financial support from the Government of Japan. The second sub-regional workshop aims at establishing synergies between teacher development and education policy on ESD; evaluating project activities on mainstreaming education for sustainable development and global citizenship; and agreeing on the sustainability of the project in Central Asia.